“Are you going to the prom?” a high school friend asked me on a warm May afternoon in 1966. 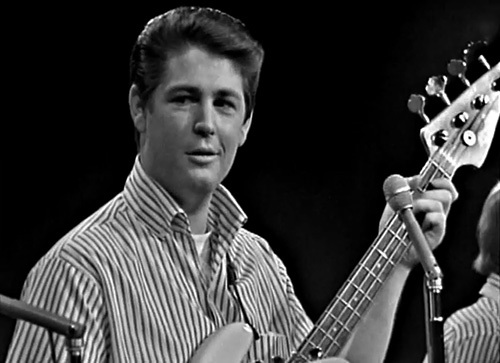 In the background, Brian Wilson’s perfect falsetto crooned, “Wouldn’t It Be Nice.” It made me think of my boyfriend, Ricky, at the time. We were hot teens and I was a good Catholic girl. “Not this one,” I replied, hinting disappointment. It was my own senior prom. “Can’t you bring Ricky?” my friend asked. At my high school seniors had prom-day off, so this California girl made a Zuma Beach date with another California boy instead of a date for her prom. “I wish they all could be California Girls…the West Coast has the sunshine and the girls all get so tan…” refrained radio KRLA’s Beach Boys music marathon hour. WAIT A MINUTE!!!! Brian Wilson’s 70? Cruising through Malibu Canyon in my first car and singing “…and she’ll have fun, fun, fun, till her daddy takes her T-bird awaaaay….” I could not comprehend 70 (except for 70 mph). Nor could I have fathomed that on the day Brian Wilson would turn 70, that I would celebrate my granddaughter’s third birthday. 1966 earmarked my endless summer. I loved the Rolling Stones and the Beatles, but the Beach Boys remained my fave along with a new crop of California musicians that spoke our language. Even while Wilson suffered a nervous breakdown, turned into an overweight drug abuser, and ceased public performance, he was the crush I cradled through the years. His music, lyrics, and sound echoed everything I knew and cared about. And by the time “Good Vibrations” hit the airwaves that fall, I knew exactly what that song meant. It’s still my go-to song. My last post “Blame it On Laguna Beach” sparked summer beach time memories for several readers. Summer loves. Summer tans. Summer heat. Summer music. Summer nights. And for those of us lucky enough to have those histories in California, we know how they influenced us today. California girls are different. This I discovered while living in the heart of New Mexico. New Mexico’s fantasy sunset awakened the flickering fireflies along the Rio Grande River’s edge. Night hawks soared from cottonwood to cottonwood dodging hungry bats, both in the hunt for unsuspecting flying insects—not something I’d experience on a California beach. Magic infused the sultry air. It was meant to be a put down, but I took it as a compliment: “You California people just don’t see the world like the rest of us,” declared a neighbor hosting an evening soirée in her garden by the river, after I commented on some environmental issue. I also heard, “Your house looks like California inside,” “You’ve been here (in New Mexico) for 10 years and you still look and talk like a Californian,” “Don’t worry, you’re just from California…” Huh? Figuratively, I still bob about on the incoming swells of the Pacific Ocean, oblivious to others and their chatter, but so aware of motion and mood. 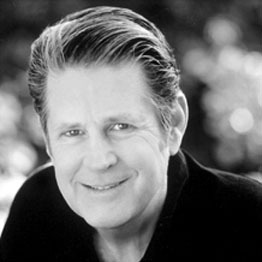 These are the things Brian Wilson wrote about that spoke to the hearts of California girls and boys, and those who wished they could. Happy Birthday, Brian. Glad you made it out of your room. Darlin’ Charmaine, you’re still the little girl I once knew! Thanks so much for a welcome trip down memory lane. Your imagery sparkles. You succeeded in transporting the dulcet tones and and soothing lyrics of “the” Californian group of our generation. As I read your words I can hear music, or is that my iTunes? Only God knows. Regardless, until reading your, “…Songs Of My Life” I hadn’t realized how deeply ingrained the Beach Boys became in our lives. While you soaked up the warmth of the sun I can remember the pressure you were under to be true to your school over the prom issue. Your were courageous in handling it the way you did, but even so you need a mess of help to stand alone. Wouldn’t it be nice if such matters remain the only decisions we have to make? As youth evaporated the resiliency of our “boys” seemed to actually bridge time as we matured. Their last hit for me was “Kokomo.” No doubt, as a mother you remember how difficult it can be to get enough sleep with all the demands a newly born infant can place on you. Your nephew, Geoff was no exception. After Ginny finished nursing him, he was ready for playtime, so I’d take him downstairs and cuddle up, with him in my arms as I’d waltz him around to the tune of his favorite song, “Kokomo,” with the Beach Boys crooning, “…Key Largo, Montego, baby why don’t we go?” The Thai staff must have thought I was “baba-bobo” (crazy) to be dancing around the living room with my son cuddled-up against my chest — at 2:00 in the morning! I never tried to explain. Wouldn’t it be nice if we could attend a BB 50th Anniversary Concert? It’s my understanding the “Ippodromo delle Capannelle” still has seats for their July 26th gig in Rome. Waddaya think? Care to hazard a guess on how many BB song titles are in my post above? Loved this post, just had to drop you line so you knew I was here. Yep, from one California girl to another, I know what you mean about people pointing you out as being from California. I Loved the Beach Boys. This was a great tribute story to them Char, can’t wait for more stories.